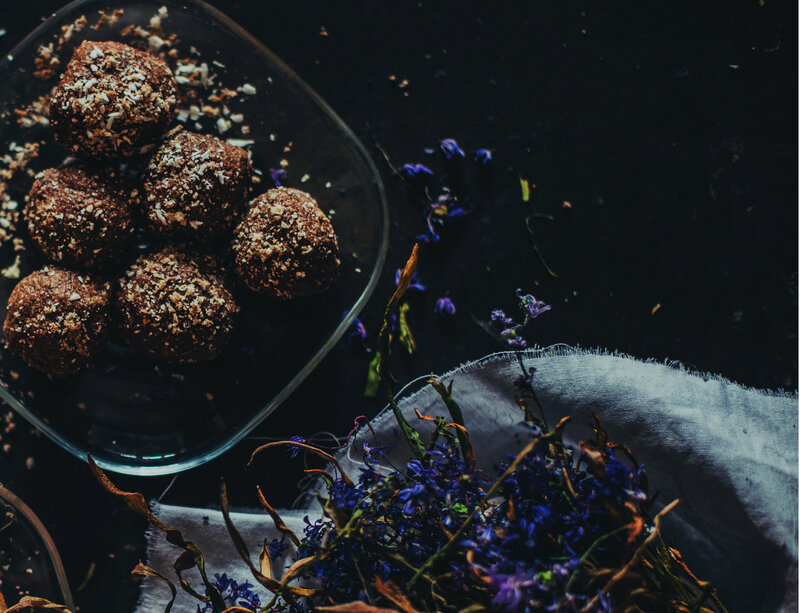 Delicious energy balls might already be a staple in your fridge, but did you know that with a few simple tweaks, you can turn a favorite snack into a healthy, hormone-balancing treat with the addition of medicinal herbs? Let me introduce you to one of my go-to recipes: Women’s Bliss Bites. These are enhanced with Maca, an adaptogenic herb that has been used traditionally in the Peruvian mountains, and is now used by many herbalists around the world, to promote mental acuity, physical vitality, endurance, and stamina. Maca can help to reduce anxiety and depression and is rich in essential amino acids, iodine, iron, and magnesium, as well as health-promoting plant sterols that may possess a wide range of activities that support adrenal and hormone function. 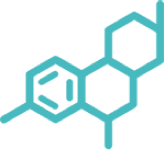 It has been used to support fertility, and reduce menstrual and menopausal symptoms as well. Bonus: it’s known to boost libido, too! In addition, you’re blending in highly Omega-3 rich walnuts, with a rich plant nutrient boost from cacao for powerful anti-inflammatory and mood-boosting impact. Cardamom is a flavorful aromatic herb that promotes healthy digestion and metabolism, while cinnamon has been shown to reduce insulin resistance common in women with PCOS and metabolic syndrome. The right herbal blends upgrade your usual energy bites into powerhouse bites that nourish and boost health at the same time. Here’s my recipe for Hormone-Balancing Bliss Bites. Remove your blade from your food processor, then form round balls using about 1 TBS of “dough” per ball. Place on a platter or into a glass storage container for later enjoyment. They are safe to enjoy while trying to conceive (and may even help in that department!) and while breastfeeding; during pregnancy you can enjoy them but sans the maca. Note: while most people really enjoy maca, every now and then I hear a story of it upsetting someone’s tummy – nausea, in particular – so have just 1 at first and consider making half a batch the first time. To purchase maca powder visit your local natural foods grocer, or online you can purchase from Mountain Rose Herbs or check out the Dharma Moms Supplement Dispensary.